NB: Film links are now on on Film; Sephardic and Ladino links are now on a separate page. Judy Frankel A memorial for Judy by her ex-husband, Ken Frankel. There are remembrances from family and friends. 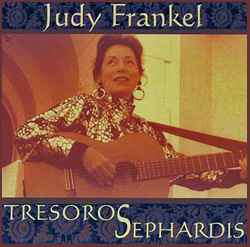 You can listen to Judy's Sephardic songs at the site, and hear some of her music from the 1960s to the 1980s. Nationalities Unite for a Night of Culture 19th November 1997: a cultural evening sponsored by The Center for Portuguese Studies and Culture at UMass Dartmouth, together with the Center for Jewish Culture and the Cape Verdean Student Alliance. Judy sang some of the songs she learned in Portugal. Santa Fe professor's poetry inspires singer David Steinberg, Albuquerque Journal, 11th August 2000. This link takes you to the News Library site where you can download the article for a small fee. Unfortunately I was not given permission to reproduce it. 1 Hebrew = "The Torch"
Remembering Judy Frankel a memoir in the Jewish Women's Archive by Judith Cohen, an ethnomusicologist and performer of Sephardic songs. La Voz Dorada de Judy Frankel [The golden voice of Judy Frankel] Isabelle Medina Sandoval, La Herencia, Fall 2008, page 28. You can read the article online and/or purchase a copy; despite the title, the article is in English. 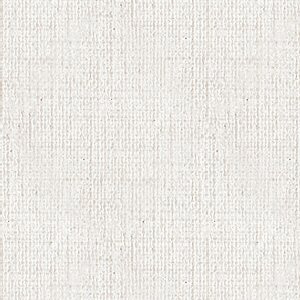 It includes a beautiful poem in Judy's memory, Tres Hermanicas. Judith — Part of the Hanukkah Story Judy is listed as one of the "modern-day Judiths [who] carry on her legacy as they dare to act, to speak, to teach, and to write themselves into the record of American Jewish history. ... and ... whose deeds continue to inspire us." Hanuka — A Celebration of Light This concert, dedicated to Judy's memory, took place on 10 December 2009 at Berklee College of Music where Judy once studied (see below). It was the debut concert of a new Ladino Music Group, Aljashu. Members of Judy's family were in the audience and "praised the musicians and vocalists for faithfully backing up the melodies and words". Say "Yes" to ALJASHU at Berklee on Thursday advance notice of the concert, "dedicated to the joyful legacy of singer, musician, songwriter and ethnomusicology scholar, the late Judy Frankel." Diana Bryer Studios The New Mexico-based artist's work is vibrant and enchanting and includes two paintings inspired by Judy's singing: Tres Hermanicas (Sephardic Songs of Love and Hope); Rosa de Castilla: the latter after a poem by Isabelle Medina Sandoval which Judy set to music. Berklee College of Music Judy studied at both these Boston schools of music: music theory at the former and guitar at the latter. Aliamanu Elementary School, Honolulu, Hawaii Judy taught here in the mid-1960s. Musée d'art et d'histoire du Judaïsme Jewish museum of Paris. Judy gave two concerts here on 13th and 14th May 2001. East Timor Action Network Judy felt strongly for the suffering of the East Timorese (see San Francisco Chronicle).